CALGARY, Dec. 24, 2015 /CNW/ - (TSX: PMT; PMT.DB.E; PMT.RT) – Perpetual Energy Inc. ("Perpetual" or the "Company") announces that the Alberta Securities Commission dismissed the appeal of the issuance of the receipt for Perpetual's short form prospectus dated December 7, 2015 (the "Prospectus") and the application to cease trade its previously announced rights offering (the "Rights Offering") made by certain holders of the Company's 7.00% convertible debentures (the "Convertible Debentures"). Accordingly, the Rights Offering will proceed on the basis outlined in the Prospectus and the rights (the "Rights") of the Company will commence trading on the Toronto Stock Exchange (the "TSX") on an ex rights basis commencing on December 24, 2015. The "Current Market Price" used to calculate the number of common shares of the Company ("Common Shares") each Right will entitle a holder to upon exercise of such Right (the "Common Shares Per Right Number") is $0.1582 per Common Share and was calculated as the volume weighted average price of the Common Shares for the 20 consecutive trading days, ending on December 22, 2015, the fifth trading day preceding the maturity date of the Convertible Debentures of December 31, 2015. Each Right will entitle the holder thereof (provided they are resident in an eligible jurisdiction or they are an approved eligible holder) to acquire 4.3386 Common Shares upon payment of the exercise price of $0.1630 per Right. The ability of a holder to exercise Rights and subscribe for additional Common Shares under the Additional Subscription Privilege (as defined in the Prospectus) will expire on January 15, 2016 at 5:00 p.m. (Toronto time) and closing of the Rights Offering is expected to occur on or about January 18, 2016. If you have any questions relating to the Rights Offering, please contact the information agent, Kingsdale Shareholder Services, at 1-855-682-2031 (toll-free in North America), 1-416-867-2272 (outside North America), or by email at [email protected] or the registrar, transfer agent and subscription agent, Computershare Investor Services Inc. at 1-800-564-6253 or by sending an e-mail to [email protected]. Further details concerning the Rights Offering and the procedures to be followed by holders of Common Shares are contained in the Prospectus available on the Company's profile at www.sedar.com. The Company also announces that it will issue an aggregate of approximately 232.07 million Common Shares to the holders of the Convertible Debentures upon maturity of the Convertible Debentures on December 31, 2015, representing a conversion rate of 6,653.8026 Common Shares for each $1,000 principal amount of Convertible Debentures. As a result of the final determination of the Common Shares Per Right Number and pursuant to the terms of the Convertible Debentures, the Company further announces that the conversion price of the outstanding Convertible Debentures that applies if a holder elects to convert their Convertible Debentures to Common Shares has been re-adjusted from the previous adjustment on December 16, 2015 of $3.34 to $2.20 (the "Final Conversion Price Adjustment"). As a result of the Final Conversion Price Adjustment, the conversion rate per outstanding Convertible Debentures would be 454.5455 Common Shares per $1,000 principal amount of Convertible Debentures. For a detailed description of the calculation used to determine the Final Conversion Price Adjustment, please refer to the Prospectus available on the Company's profile at www.sedar.com. Concurrent with the dismissal of the proceedings before the ASC described above, a syndicate of lenders (the "Syndicate") have confirmed their participation in the Credit Facility (as such term is defined in the Prospectus), as previously disclosed as a commitment from a lender in the Prospectus. The Syndicate has agreed to extend the maturities of both the Credit Facility and the Margin Loan (as such term is defined in the Prospectus) to October 31, 2016, both previously due on November 30, 2015, with no interim scheduled review until maturity. Availability under the Credit Facility has been set at $20 million. The lending commitment also extended the Margin Loan secured by 5.5 million common shares of Tourmaline Oil Corp. ("Tourmaline Shares"). Availability under the Margin Loan has been set at $42 million reduced from $58.4 million with the reduction in the number of Tourmaline Shares pledged and payments against the loan made by Perpetual to maintain the required margin coverage. The Margin Loan will continue to require that the daily value of the pledged Tourmaline Shares exceed three times the amount drawn on the Margin Loan. Certain information regarding Perpetual in this news release including management's assessment of future plans and operations may constitute forward-looking statements under applicable securities laws. The forward-looking information includes, without limitation, statements regarding: the timing and treatment of trading of the Rights on the TSX; the anticipated expiry date and time of the Rights; the anticipated closing date of the Rights Offering; anticipated regulatory approval, including from the TSX, in respect of the Rights Offering; the number of Common Shares to be issued upon maturity of the outstanding Convertible Debentures; and the terms of the extensions provided by the Syndicate under the Credit Facility and the Margin Loan. Various assumptions were used in drawing the conclusions or making the forecasts and projections contained in the forward-looking information contained in this press release, which assumptions are based on management analysis of historical trends, experience, current conditions, and expected future developments pertaining to Perpetual and the industry in which it operates as well as certain assumptions regarding the matters outlined above. Forward-looking information is based on current expectations, estimates and projections that involve a number of risks, which could cause actual results to vary and in some instances to differ materially from those anticipated by Perpetual and described in the forward-looking information contained in this press release. Undue reliance should not be placed on forward-looking information, which is not a guarantee of performance and is subject to a number of risks or uncertainties, including without limitation those described under "Risk Factors" in Perpetual's Annual Information Form and MD&A for the year ended December 31, 2014 and those included in other reports on file with Canadian securities regulatory authorities which may be accessed through the SEDAR website (www.sedar.com) and at Perpetual's website (www.perpetualenergyinc.com). Readers are cautioned that the foregoing list of risk factors is not exhaustive. Forward-looking information is based on the estimates and opinions of Perpetual's management at the time the information is released and Perpetual disclaims any intent or obligation to update publicly any such forward-looking information, whether as a result of new information, future events or otherwise, other than as expressly required by applicable securities laws. 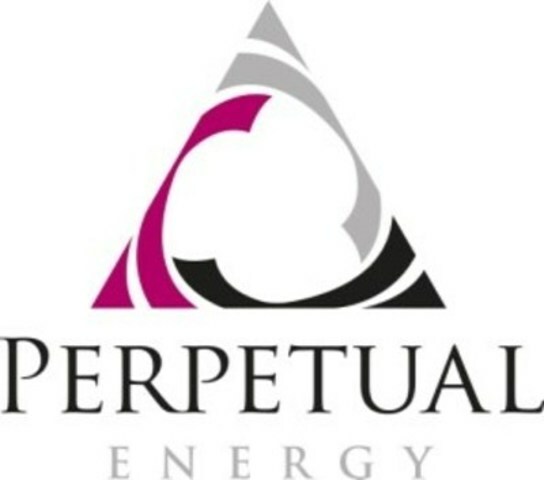 Perpetual Energy Inc. is a Canadian energy company with a spectrum of resource-style opportunities spanning heavy oil, NGL and bitumen along with a large base of shallow gas assets. Perpetual's common shares, convertible debentures and rights are listed on the Toronto Stock Exchange under the symbol "PMT", "PMT.DB.E" and "PMT.RT", respectively. Further information with respect to Perpetual can be found at its website at www.perpetualenergyinc.com.